Oh! It’s that time of the year again! As chilly winter air engulfs you and Christmas decorations mesmerize you, I’m sure it feels like Christmas already! With Christmas just two days away, there’s a combination of rush hours and festive sensitivities around the world. Has your festive feeling set in? Are you looking to plan a Christmas getaway without breaking the bank? Worry not! You have arrived at the right place at the right time. 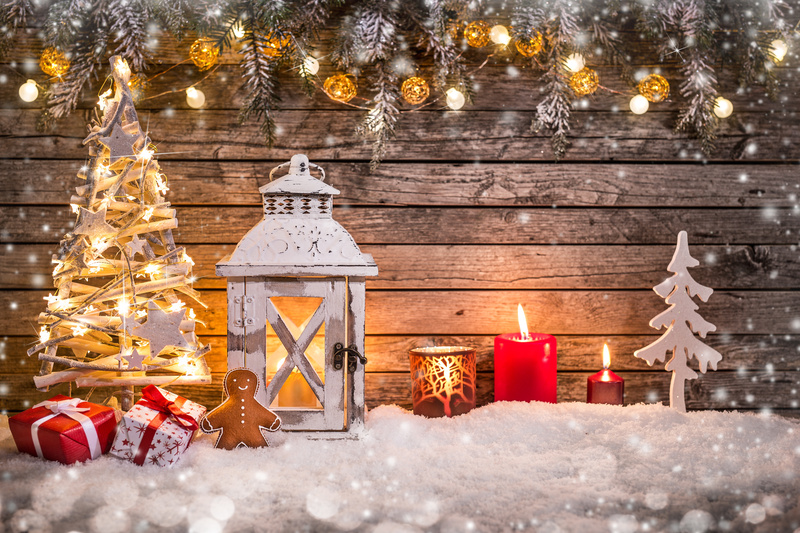 The Christmas ideas listed below are a collection of the ‘best Christmas getaways around the world THAT ARE NEAREST TO YOU!’ I promise these budget-friendly vacation ideas will not only make your Christmas the brightest and merriest but also the most memorable one! Looking to travel to a nearby destination and still make the most of Christmas? 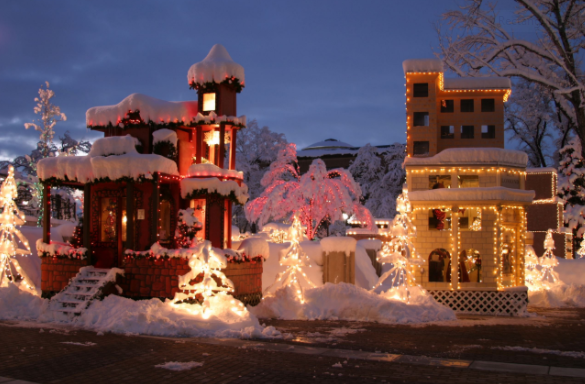 Utah’s Christmas village is the best spot for the people of the USA. With miniature cottages like Santa’s North Pole village popping up out of the middle of the town, Utah looks like a dreamland. The cottages are 59 in total and each of it has its own theme. The most popular out of these are the Elf Workshop and The Grinch. A Santa’s castle is also set up where children can visit with Santa himself! This place is set up in such a way that it is amusing and pleasurable to both adults and children. Don’t forget to take a ride at the Polar Express that passes through a glow-in-the-dark tunnel painted with holiday flourishes. 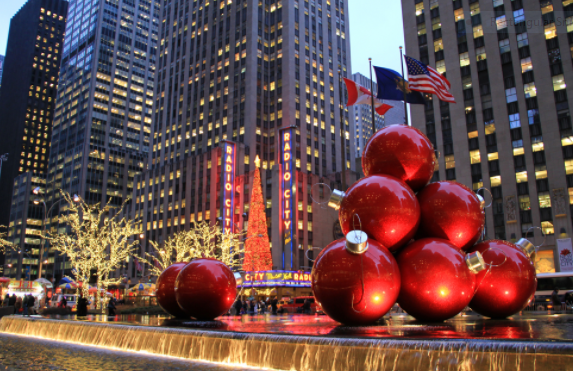 From winter villages to Radio cities, New York City at Christmas is well worth a visit at least once in your lifetime. Making it to the top of the must do things during Christmas in NYC is the Bryant Park Winter Village. Not only is there free ice-skating on Bryant Park’s 17,000-square-foot outdoor rink, there is also a bunch of new kiosks and eateries for your shopping and eating pleasure. Second, on the list come New York’s famous ‘holiday windows’. 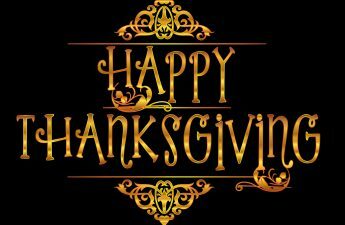 The top 6 stores like Bloomingdales, Barneys, and Bergdorf, Sax Fifth Avenue, Lord & Taylor, and Macy’s have a festive window display during which they show off their latest holiday merchandise. The glittery, enchanting department store windows are indeed a sight to behold. Next on the list comes the famous Rockefeller Christmas Tree. Every year, thousands of people travel to witness the wonder of the 78-foot, 10-ton Norway Spruce illuminated in over 45,000 LED lights. 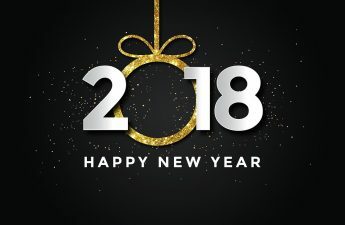 Hope you are one of them this year! Whoever said Christmas was not a big deal to the Chinese didn’t visit Hong Kong! The Christmas tree at the winter fest with 20 million pieces of Swarovski crystals, and Tiffany’s indulgent Treasures complete with fairy-tale merry-go-rounds has become the season’s icon. The stunning visual feast at Harbour City is well-known for its fantastic LED show, where a number of UAV drones will fly in different patterns over Victoria Harbour. 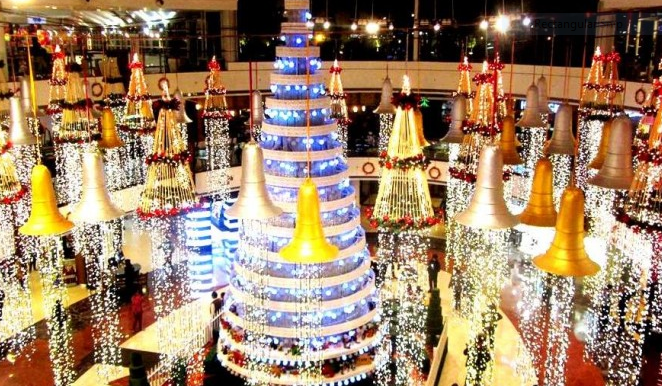 “Jingle All the Way”, is Hong Kongs famous environmental-friendly, design-centric Christmas installation that uses recycled drink cartons to craft a festive jungle of Christmas trees. Whoever visits this place comes out mesmerized by the Christmas jungles art. 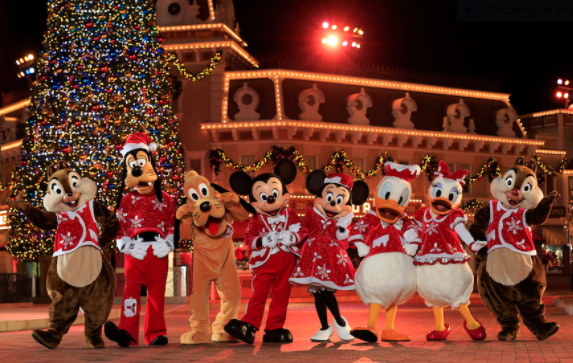 The best place to visit during Christmas in Hong Kong is the Disneyland! With the holiday cheer, shiny ornaments, dazzling lights, fluffy snow and holiday wreaths, the entire park is transformed into a wonderland. While you are here, don’t miss the magnificent Christmas tree, the parties, the parades, the light-up ceremonies and of course the fireworks. Other than these, there are a lot of Christmas activities and attractions at the Victoria Harbor, Lamma Island, Tsim Sha Tsui, Victoria Peak, Causeway Bay and Ocean Park. 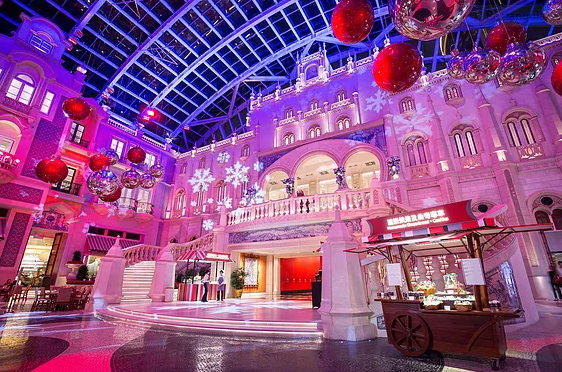 Macao is famous for its kids and adult friendly Christmas themed activities. Starting with the kids, Macao has the little big club for kids. Here they can join in a Christmas breakfast party with Thomas the Tank Engine, Angelina Ballerina, purple dino Barney and other much-loved characters. Make your Christmas an enchanting one by attending Macau’s light festival. Highlights of the event include three projection mapping shows themed “Boundless Love”, “The Lighthouse of Life” and “Mercy and Love for All”. Don’t forget to visit the playground of lights and maze of flowers. Adopting digital video mapping technology, Sands Resorts Macao presents a dazzling new animated 3D light and sound spectacular to celebrate this festive season in great style! The building will be decorated with beautiful Christmas trees and glamorous Venetian glass decorations, and projection of other festive images. When in Macau people also make sure to visit the flea markets that have a sale during Christmas. 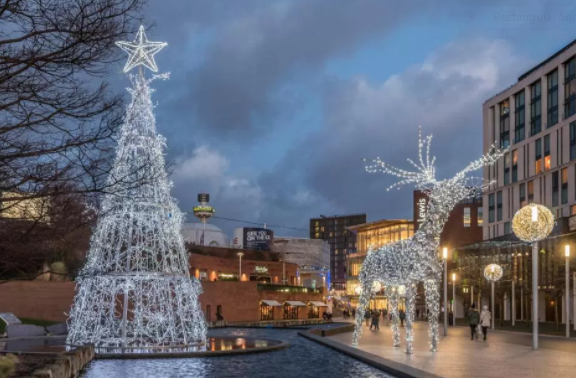 From Christmas present ideas to Santa’s grottos, from how to cook a turkey to where to buy brilliant decorations, from Ice festivals to train rides with Santa, Liverpool has it all! With a super-sized 3 lane Ice Slide, ice rink, Ferris wheel, Ice Bar, Santa’s Grotto, the UK’s only Ice Jet Ride there really is something for everyone at the Ice Festival. Another thing that makes people, especially kids run to Liverpool for Christmas is the Santa train rides. Kids are allowed to travel to Santa and while leaving the train they also receive a gift from him. Another festival called the Snow festival is popular in Liverpool. This indoor festival brings snow into Liverpool even when there isn’t a forecast. If you’re looking to do something really special this Christmas for all the family, then you can meet Father Christmas beneath 100,000 twinkling fairy lights at Dunham Massey. From glittering Christmas lights and ice skating to traditional markets and Christmas shows, London is a Christmas wonderland. At the Hogwarts in the Snow festival, one can celebrate a very magical Christmas. Here, you can see how the movie of Harry Potter was made. 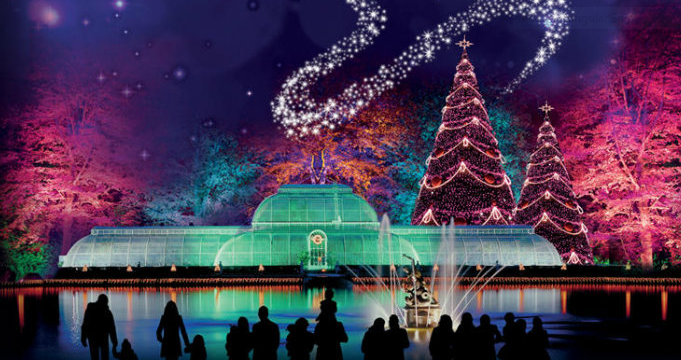 London’s popular lantern festival also takes place during Christmas thus transforming gardens into a festive haven. There is also a street food market and a bar where grownups can chill while kids enjoy at the festival. While in London, one can experience Christmas as it would have been in Victorian times with a host of 19th-century decorations and activities to enjoy at Kensington Palace. At the palace, a 25 ft. high Christmas tree is decorated in Victorian style around which a number of Christmas traditions take place. This is one of the most popular places in the world to celebrate Christmas. Goa is the best place in India to celebrate Christmas, hippie style. 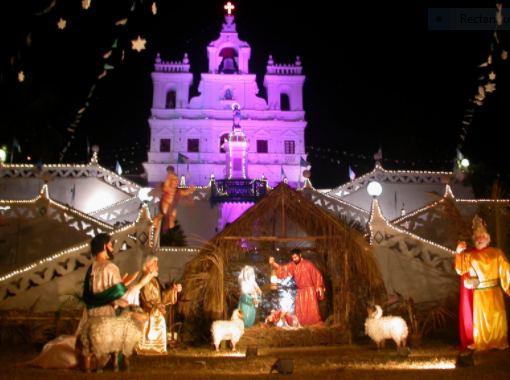 There is a special charm in the Christmas in Goa that sets it apart from celebrations of Christmas anywhere else in India. The entire city is decorated with poinsettia flowers and lights. The festive mood sets in here with a cake mixing ceremony. In this ceremony, colorful cherries, dates, plums and dry fruit with the ‘spirits of the season’ like rum, whiskey and wine are all mixed together to bake a Christmas cake. There are also crib-making and star-making competitions where one builds his own displays. 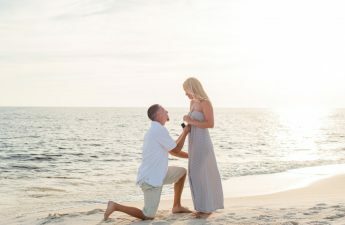 Couples who are traveling to Goa can enjoy a candlelight Christmassy dinner at the river cruise. There are also a number of Santa parties for kids where they can indulge in cookie making and face painting competitions. Goa’s most popular Christmas Eve dance starts at 2 a.m. on December 25th, soon after the Midnight Mass. After these parties, bonfire parties are also held to keep the good times rolling. Get Cheaper yet luxury Christmas Flights to Goa and Jingle all the way to Goa. Delhi is one place In India where Christmas celebration is worth witnessing. Delhi enjoys a feeling of sensation throughout its length and breadth with shopping malls decorated, Christian localities bathed in shimmering lights. From art and craft to storytelling and puppet show, the grand Christmas carnival in Sector 57 has a lot of fun activities for adults and kids. A number of Christmas lunches and brunches take place all around the city with each having a Christmassy menu. ‘An evening with Santa’ is another theme based party at Panache banquets without which Christmas in Delhi feels incomplete. While in Delhi, one really should attend the Christmas Eve Mass at the Vatican Embassy Chapel. Don’t forget to shop at the Khan Market, Promenade Mall, Select Citywalk and South Extension market. Here, you’ll find a nice mix of Christmas decorations—baubles, wreaths and tree ornaments—cakes, confectionary and gift items.